The VPX6-C2, 6U OpenVPX SBC(Single Board Computer) is based on the highly integrated Intel® 3rd Generation Core™ i7-3612QE(Ivy Bridge/Quad-core) processor platform. It brings up to 15% (In computing) and 50% (In 3D Graphics) performance improvement over the previous generation. 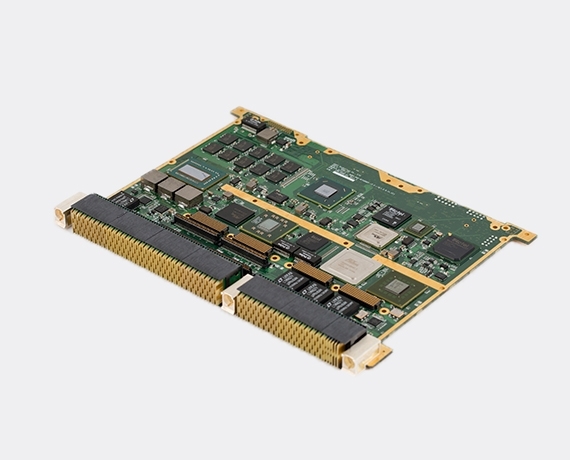 The VPX6-C2 is a full-featured 6U OpenVPX SBC, designed for harsh-environment, air and conduction-cooled aerospace and defense applications such as command/control, ISR, radar, sonar and signal processing. With a wide complement of on-board I/O, PCI Express® Gen2 fabric, Serial RapidIO® Gen2, 10 Gigabit Ethernet and X/PMC expansion, the VPX6-C2 satisfies the most demanding fielded applications for unmanned aerial and ground vehicles, tactical aircraft, armored vehicles and rugged naval systems.